Anytime that a card of mine is inspired by food I get excited! It's one of those little things in life. This card was inspired by the golden hues of s'mores and their texture. I began with an A2 kraft cardstock base cut from my favorite kraft paper by Cardstock Warehouse. 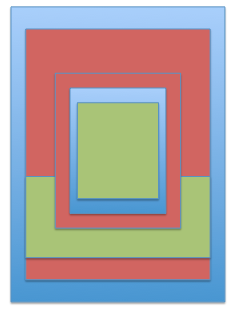 I cut down a piece of brown cardstock to fit neatly inside the front of the card and 4" by 5.25". 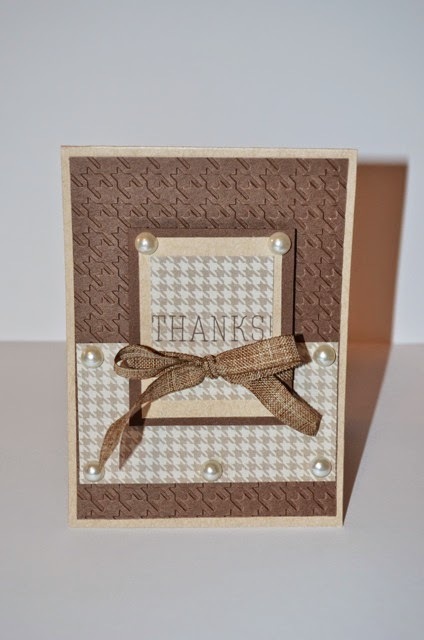 I ran this piece of brown cardstock through my Big Shot machine and I chose to emboss it with a houndstooth folder by We R Memory Keepers. I adhered this piece to the base with my Tombow Stamp Runner. Next, I took a piece of golden brown houndstooth paper from a 6"x6" paper pad by Momenta and cut it to fit across the length of the embossed panel. I then cut down nesting rectangles out of brown cardstock, kraft cardstock, and the houndstooth paper and adhered them together. 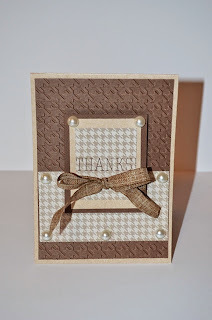 I used a "thanks" sentiment stamp from Simon Says Stamp and stamped it with Rich Cocoa dye ink from Memento on the houndstooth paper. I used foam adhesive to adhere this nesting rectangle to the center of my card to pop it up and add some dimension to the card. Lastly, I added some embellishments to add some more texture to the card. I used pearls and ribbon from The Paper Studio to finish the card! I do think the layout I used for this card would look great for any pattern you have a matching embossing folder and paper for. Stripes or polka dots would look wonderful. I hope you enjoyed this card! Thanks for checking out my blog!